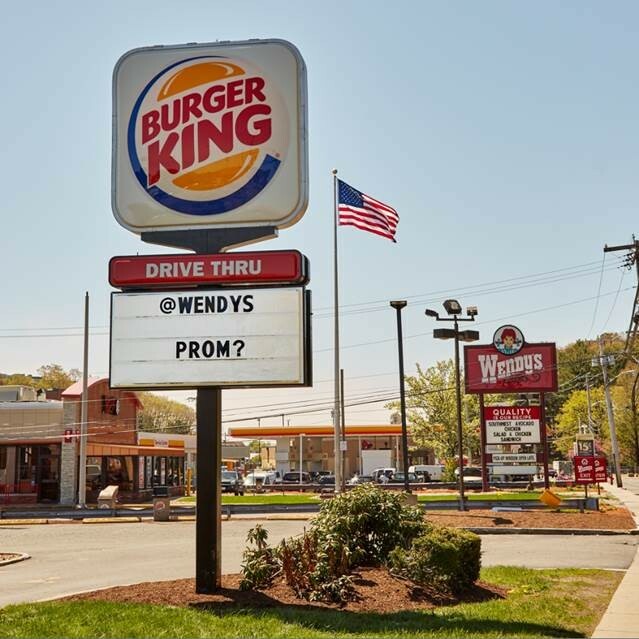 It’s prom season, and apparently that goes for fast food chains too, as Burger King recently asked a neighboring Wendy’s to the prom. Boston-based agency MullenLowe was behind the prom stunt. And this isn’t the first time Burger King has embraced its fast-food rivals, as it funneled Whopper fans to neighbor McDonald’s on the chain’s day to raise funds for children’s cancer research in Argentina. As of publication, there was no response from Wendy’s.